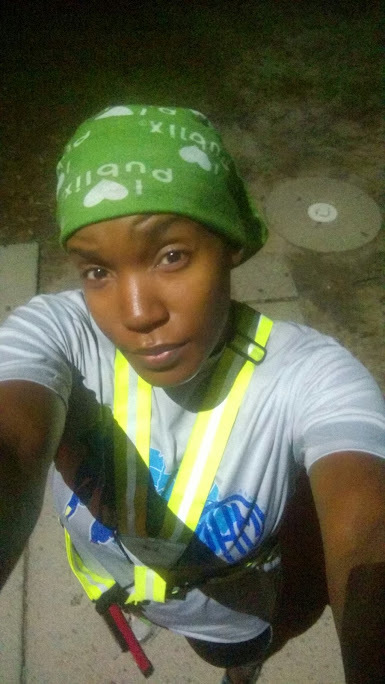 This week was all about getting back into the groove with running. After running over 24 miles in the Palmetto 200 relay (blog coming soon), I was really looking forward to just easing back into things. Sunday through Tuesday were my rest days (well actually Tuesday was a run day but I still wasn’t 100% so I decided to switch it out with another day). Wednesday, I hit the pavement all by myself at my favorite spot for repeats; the Sandhills!!! This run consisted of a one mile warm up at my CP (8’45) followed by 4X1200 meter repeats at my 5K pace (7’45) and a 120 seconds static rest. 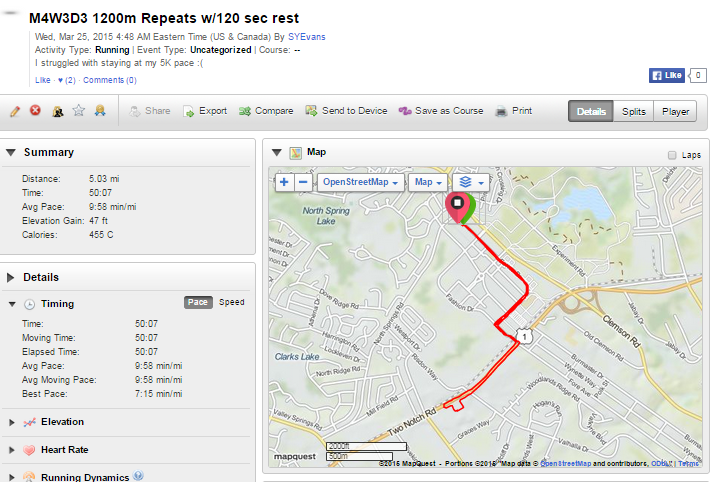 I finished this run up with a one mile cool down at my CP. 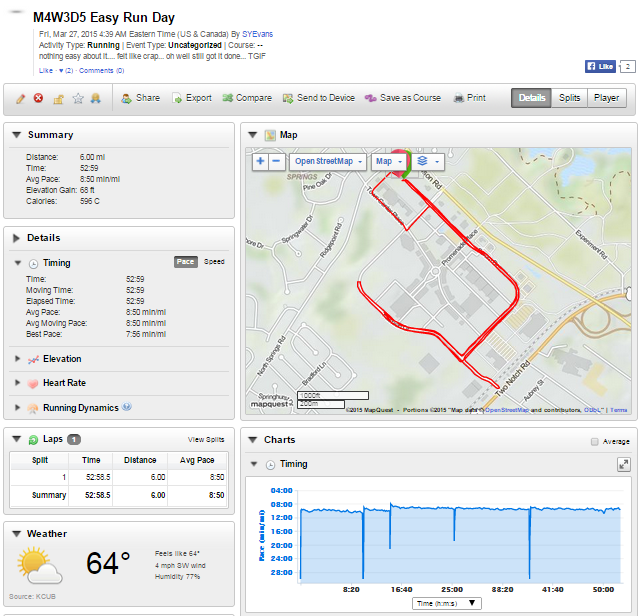 I really struggled with running at my 5K pace…close but no cigar. Maybe I took too many rest days 😉 . Thursday was my group run on Valhalla, so I met my BGR! 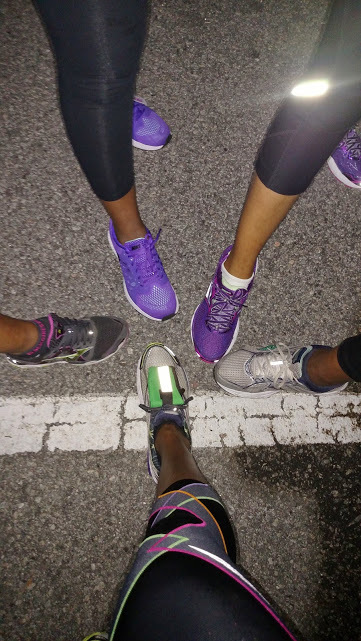 Columbia sole sistahs at 5:00 am. 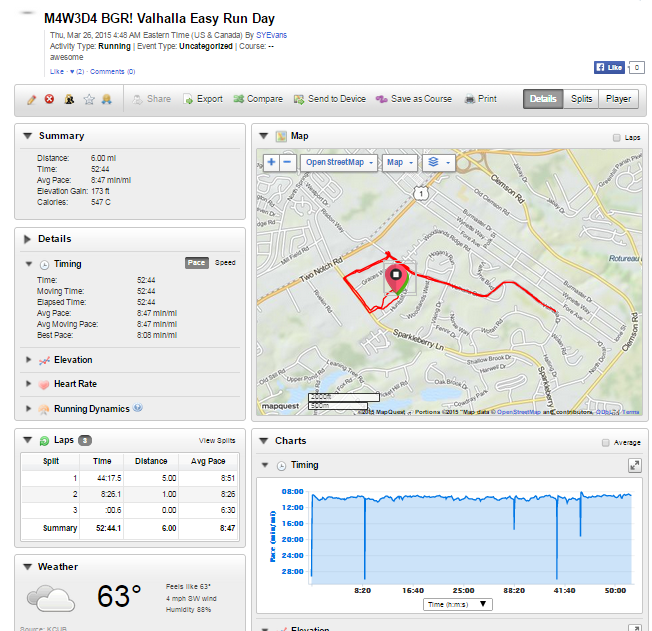 Thursdays are now my easy run days (switched some things up on the training plan). I got in a nice and easy 6 mile run that day. Felt pretty great during that run. 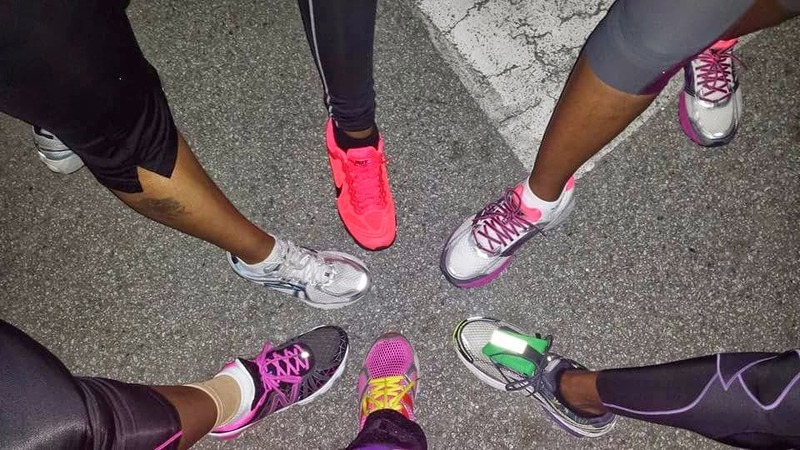 Friday, I joined my sole sistahs for a 6 mile run at the Sandhills. I headed out earlier that morning to get a head start on some extra miles. I really wasn’t feeling this run and there were plenty of times that I wanted to stop (yes I still have those days). But I knew I’d rather run with the group than to run by myself on Saturday (yeah another switcheroo). 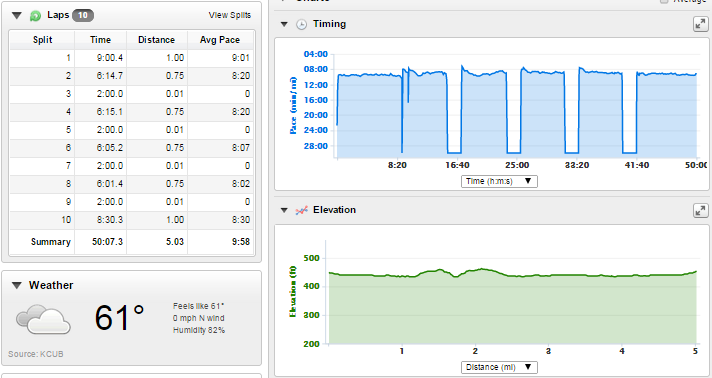 That run had me feeling as though I was struggling trying to run at my CP. Who am I kidding, I was struggling in the beginning running at my CP. I think I finally kicked it into gear around mile 3.5. So that was my week of training in a nutshell. As you all can see, I still have moments where I don’t want to run this day or the next. I do however listen to my body and if I feel like I’m just being a baby, I usually push forward and just get it done. But there are some days when the body wants to do what the body wants to do….so I let my body win and take a much needed rest day. I’m at the point now where I’m not as hard on myself if I didn’t run a day or if I walked a day instead of ran (no biggie). I’m just thankful that I’m still at the point where I can get up and just go, if and when need be. 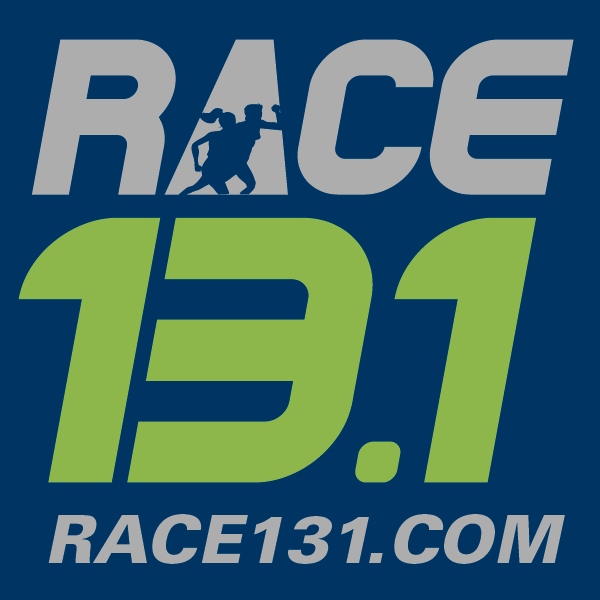 For those of you that are training for your next big race and sometimes come across road blocks. Just keep pushing through to meet your goals and know you will get there. It takes hard work and dedication but you got that…right? If it was easy everybody would be doing it. Previous Article Mesocycle 4: Week 2: I’m Feeling Myself….Taper Baby!!! Next Article Mesocycle 4 Week 4: Got Heart?